There are so many ways to use this ingredient in your home! 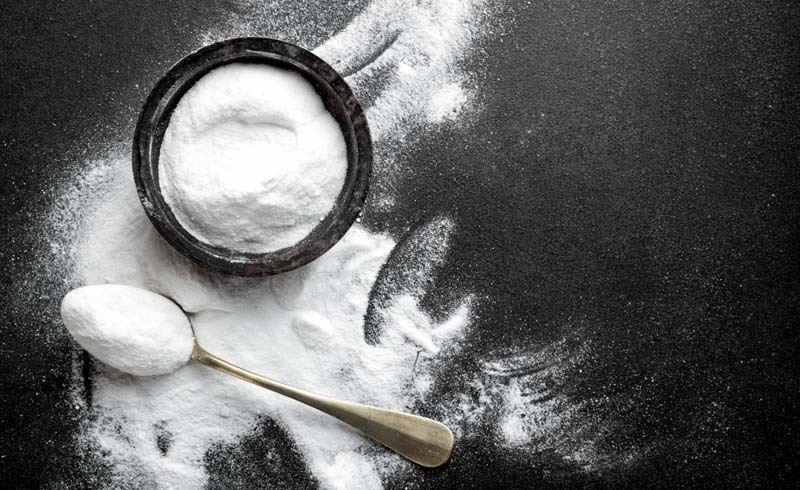 If you've ever found yourself stumped while baking, wondering what the difference is between baking soda and baking powder and which one you need, we've got all you need to know. While both are common cooking ingredients, there are actually a number of ways you can use baking soda in your home – including cleaning everything from your teeth to your oven! Baking soda is another name for sodium bicarbonate, which may also be known as bicarbonate of soda. This white powder is a mixture of sodium and hydrogen carbonate, and is most commonly used for baking cakes or soda bread. Bicarbonate of soda is alkaline, so when it is mixed with acid – such as milk – it creates carbon dioxide, causing the mixture to expand before it's replaced with air. Hence, helping to make your cake rise! While baking soda is another name for sodium bicarbonate, baking powder is actually made up of various ingredients, including sodium bicarbonate and a mix of cream of tartar and a filler like cornflour, which absorbs any moisture. It is used to make similar foods as sodium bicarbonate, but because baking powder is an acid, you generally only need to add water to it for the same reaction. Baking soda is best known as a cooking ingredient, and will be found in recipes that also include an acidic ingredient like vinegar, yoghurt or milk. Examples may include buttermilk scones and soda bread. You can also use baking soda in numerous genius ways for self-care. You may recognise it in dental hygiene products like Arm & Hammer toothpaste, as it is effective in helping to polish and whiten teeth naturally. It can even be used to make a natural deodorant or to gently exfoliate skin when mixed with water. Some people swear by using a cup of baking soda in the bath to soothe skin irritations and soften the skin, while making a paste of water and baking soda is said to be an effective salve to help relieve insect bites. It's amazing what baking soda can do around the home! A great, natural alternative to chemical-laden sprays and polishes, this wonder ingredient should definitely be introduced into your cleaning arsenal. Keep tiles and floors sparkling clean by sprinkling some baking soda in a bucket of warm water and using to help mop clean your home. Alternatively, you could sprinkle some baking soda directly onto surfaces like your bathtub and sinks before wiping clean with a damp washcloth. Baking soda is also effective at cutting through grease and grime, making it ideal to tackle particular dirty dishes or cleaning your oven or microwave. When mixed with vinegar it works as an easy, chemical-free drain cleaner, while a sprinkle of baking soda in your laundry will make clothes cleaner, fresher and softer – an easy way to make your detergent last longer. That's not all; baking soda is also great at clearing up nasty smells around the home. You could place an open box in the back of your fridge to neutralise food odours, or sprinkle at the bottom of your bin to help prevent bad, lingering smells. 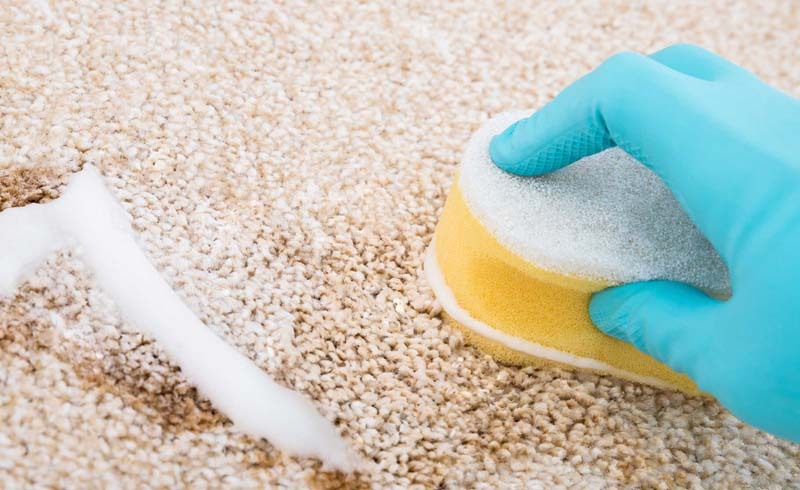 It works equally well on everything from litter trays to carpets; sprinkle on your carpet and leave overnight to freshen up your rooms, then sweep or vacuum up the residue the next morning. As well as cleaning your home, baking soda can also be used to clean fruit and vegetables, removing dirt and the waxy coating you may find on fresh supermarket produce. Simply mix with water to give your five-a-day a good cleanse. Did you know you can even use baking soda as pest control too? Mix equal parts of salt and soda, and sprinkle the mixture wherever you see ants coming in to keep them out the house. It could even keep your flowers fresher for longer; just add a teaspoon of baking soda to the water in your vase for a natural plant food. You'll find this wonder ingredient in the baking aisle of any leading supermarket or convenience store, while you can find larger tubs of baking soda for cleaning at stores. U.S. Daily News: What is baking soda?